Exposures: RGB-51 min bin 2 each, Lum-75 min bin 1. 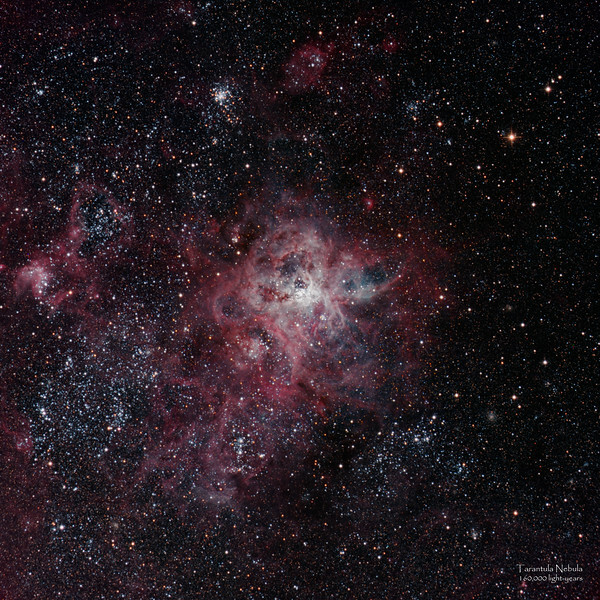 The Tarantula Nebula has an apparent magnitude of 8. Considering its distance of about 160,000 light-years, this is an extremely luminous non-stellar object. Its luminosity is so great that if it were as close to Earth as the Orion Nebula, the Tarantula Nebula would cast shadows.